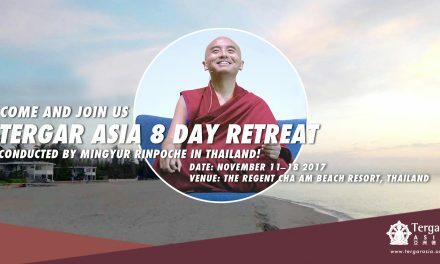 This Path of Liberation retreat focuses on guiding us towards recognition of the nature of mind. 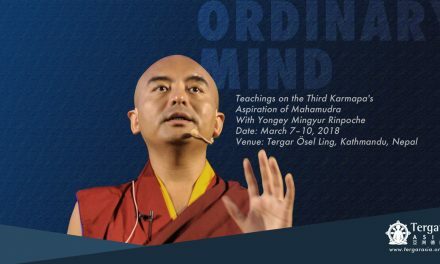 It is a precious opportunity to receive in-depth teachings from Mingyur Rinpoche on the nature of mind, drawn from the path of Mahamudra, the most profound meditative teachings of the Kagyü School of Tibetan Buddhism. The registration desk at the resort will be open at 2 p.m. Shuttle bus service will be available from 12:00 noon (first bus) to 3:30 p.m. (last bus), picking up from Bangkok International Suvarnabhumi Airport to the retreat venue. The journey takes roughly 3 hours. Shuttle bus service will be available after lunch, picking up from the retreat venue to Bangkok International Suvarnabhumi Airport. The journey takes roughly 3 hours. There are two tracks. Retreatants can choose only ONE of the two. Track 1: Teachings on Nature of Mind – Path of Liberation Levels 1 and 2. Track 2: Teachings on Nature of Mind – Path of Liberation Levels 3 and 4. 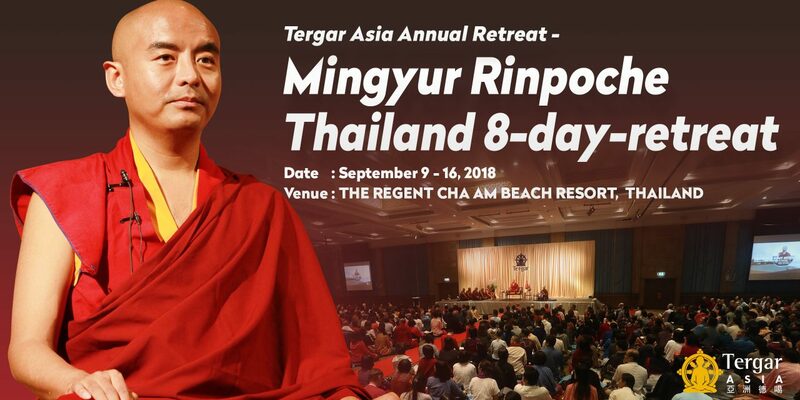 Mingyur Rinpoche will teach in English. There will be Mandarin translation. Cantonese, Indonesian and Korean translations are also available via simultaneous interpretation channels. Completed 8 days of Path of Liberation Levels 1 and 2 retreat (with 6 hour of formal meditation each day). *Only vegetarian meals are served. Admission is on a first-come, first-served basis. To access the enrollment form, please click on here. A final confirmation message via email will be sent within 10 days after verification of fee payment. More details on the retreat will be sent to retreatants in mid-August, 2018. Please note that the application is only valid under the name of the applicant on the enrollment form. * For participants who are to bring along with them children who are under the age of 12, they must make sure that their children do not become an interference for other retreatants. The organizers reserve the right to review such situations and might request the family to leave the retreat. Please follow the time frame mentioned in the above in booking air tickets to and from Thailand. Do make sure that you allow enough time for immigration and customs and take note of the shuttle bus schedule. If you cannot meet the schedule, you have to arrange your own transportation at your own expenses. Please follow the payment link on the enrollment form for credit card or Wechat payment. A confirmation message will be issued upon completion of the transaction. Please note that there is a 3-4.5 % surcharge by the corresponding payment merchants. Unit 101 – 106, 1/F Wellborne Commercial Centre, 8 Java Road, North Point, Hong Kong. Please write your name and enrollment number on the back of the cheque. All cancellations up to August 10, 2018 will be charged an administration fee of US$150. After August 10, 2018, no refund will be available.